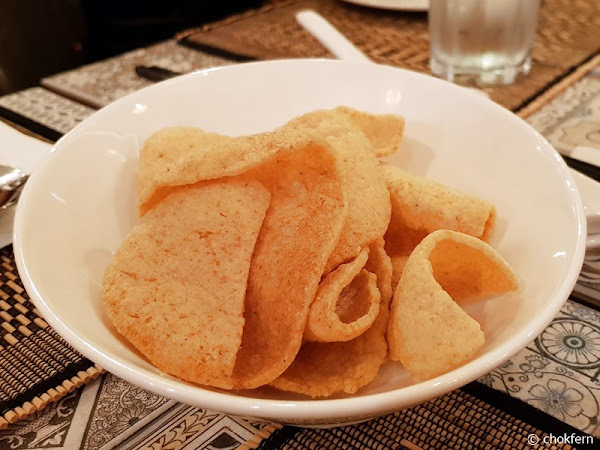 Am glad to get invited for a food tasting at the newly opened River Wok at Robertson Quay to try out their Indochina cuisine, and best of all I get to enjoy the delicacy with sis, Jessie, and Meryl – which make it feel like a causal gathering session *opps*. River Wok offers the best flavours from Indochina – which focuses on Southeast Asian cuisines from countries like Laos, Indonesia, Thailand and Vietnam, under one roof with an eclectic menu created by Executive Chef Kantha Chookiat. 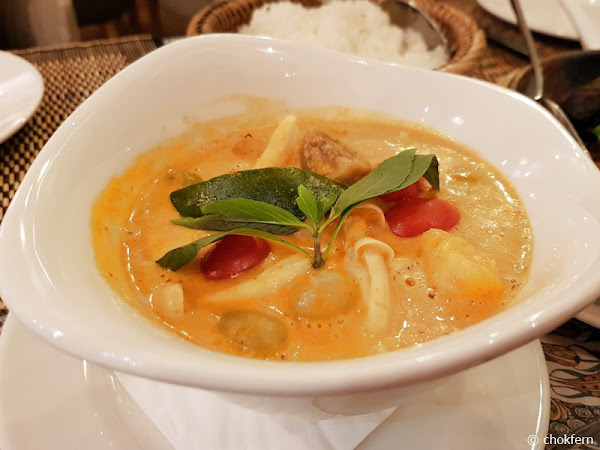 Chef Chookiat specializes in Indochina cuisine where he is able to re-create dishes with authenticity while giving his own unique spin to traditional favorites without the need for preservatives or artificial coloring. 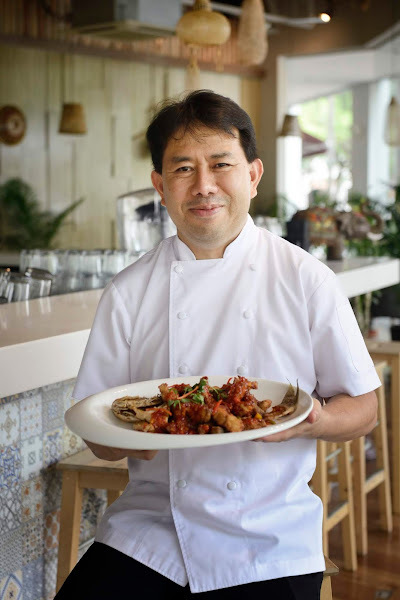 The Thailand-born chef has earned recognition among many distinguished individuals, having served Singapore’s late Founding Father and former Prime Minister Lee Kuan Yew and royalties like Prince Edward, the Princess of Monaco and the King and Queen of Sweden. 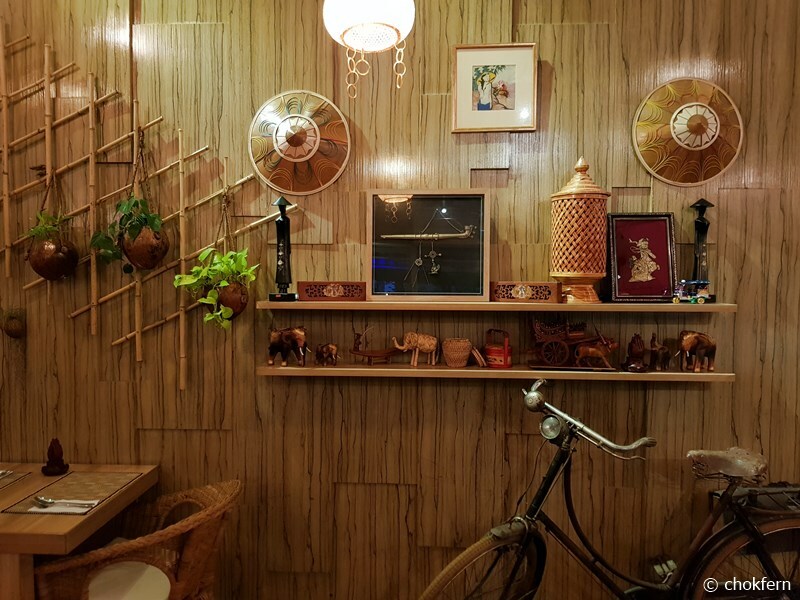 Having drawn inspiration from his travels all around the world to places like Germany, Indonesia and India, his food has earned him the title of “Indo-Chinese Treasure” in Cuisine and Wine Asia Magazine. 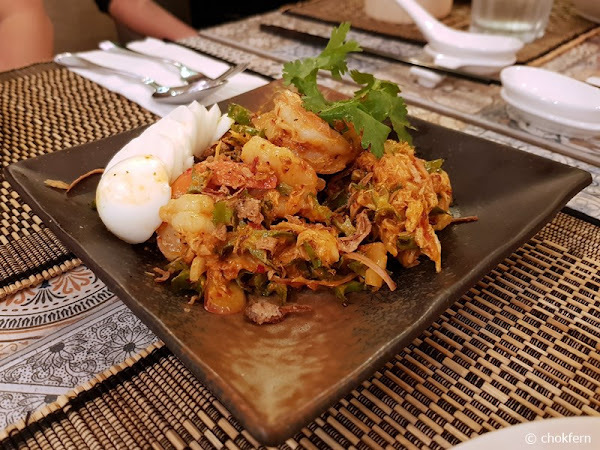 We started off our food tasting session with the traditional Thai salad, Yam Tuapoo Goong Sod, consisting of wing beans, tiger prawns and shredded chicken mixed with a lovely tangy and spicy dressing made with fish sauce, lime juice, coconut cream, chilli paste and topped with crispy fried shallots and roasted grated coconut. 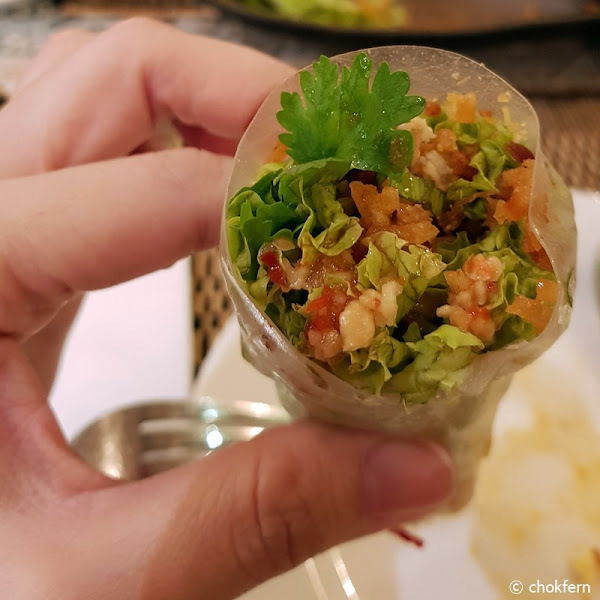 I personally find this dish a bit spicy, but can’t stop clearing my share as the combination is ‘shiok-ly 美味しい’ (shiok means great in Singlish and 美味しいmean delicious in Japanese)~ The prawn is crispy and all the ingredients are flavoursome. 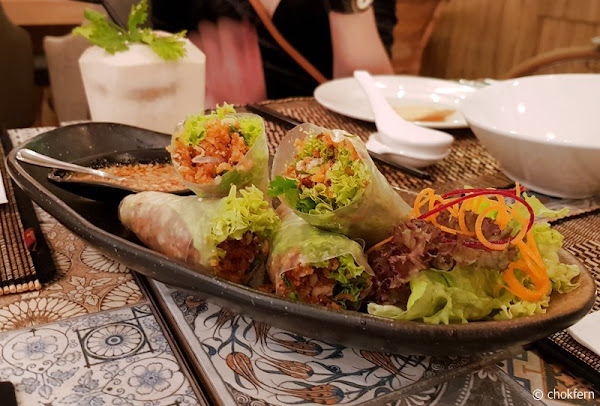 The next dish served to us is Nam Khao Hor, a Vietnamese hand rolled rice paper with lemon-marinated minced chicken and crispy roasted rice crumbles. The sweet chilli sauce suits people like me who do not have a high threshold for spicy food. 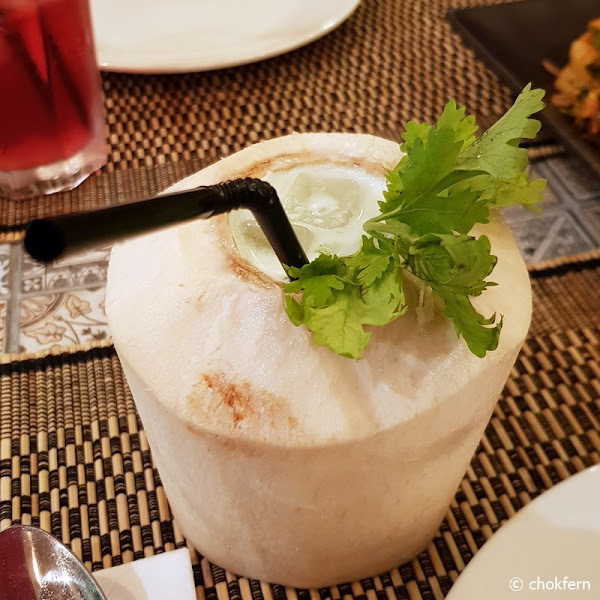 The vegetables and herbs is refreshing after the spicy salad. I personally enjoy this dish a lot and would definitely order it as my main course during days when I do not feel like having a heavy meal. 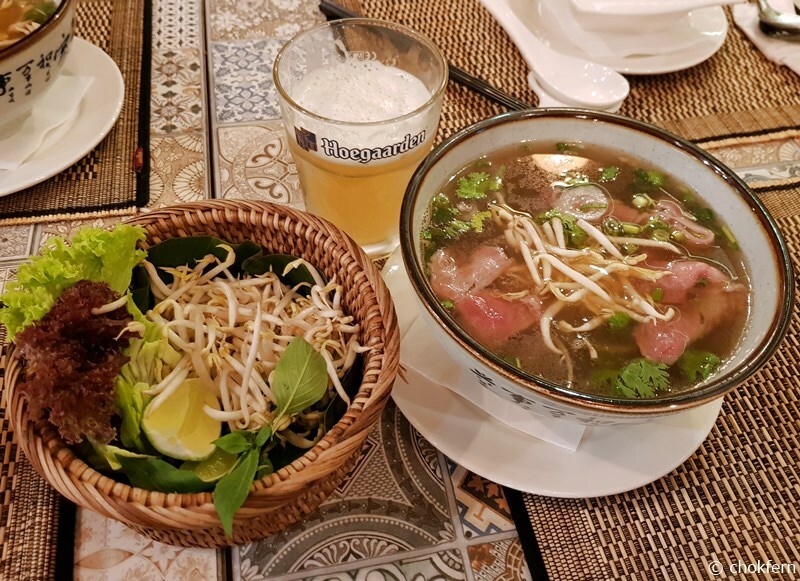 Unfortunately I am not a beef eater, so I can only watch Jessie and Meryl enjoy their classic Vietnamese staple, Pho Bo. The raw slices of premium sliced Wagyu beef is served separately from the hot fragrant beef broth, accompanied with the bean sprouts and other herbs presented on the side for those vegetables lovers. 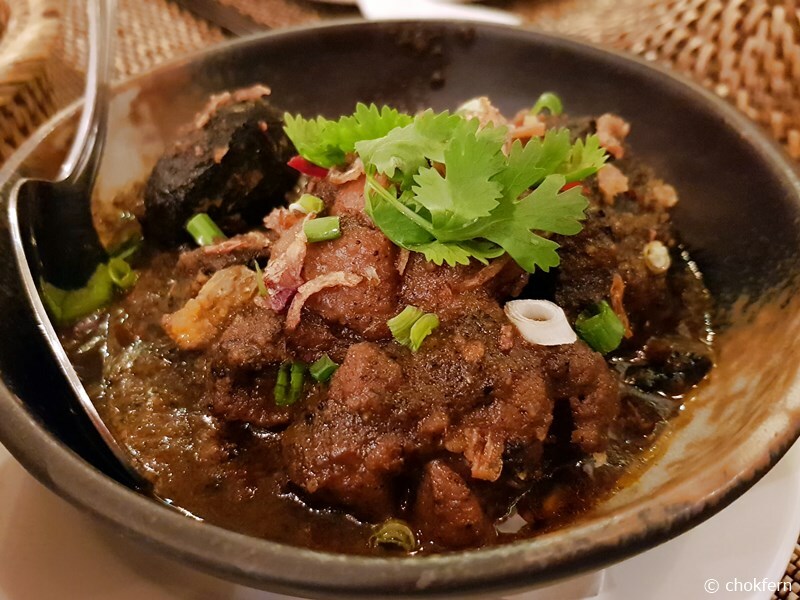 Another dish we tried, is the traditional Indonesian Ayam Buah Keluak (one of River Wok’s best sellers). The buah keluak is stuffed with minced chicken so diners can enjoy a nice surprise when they dig into the nut. 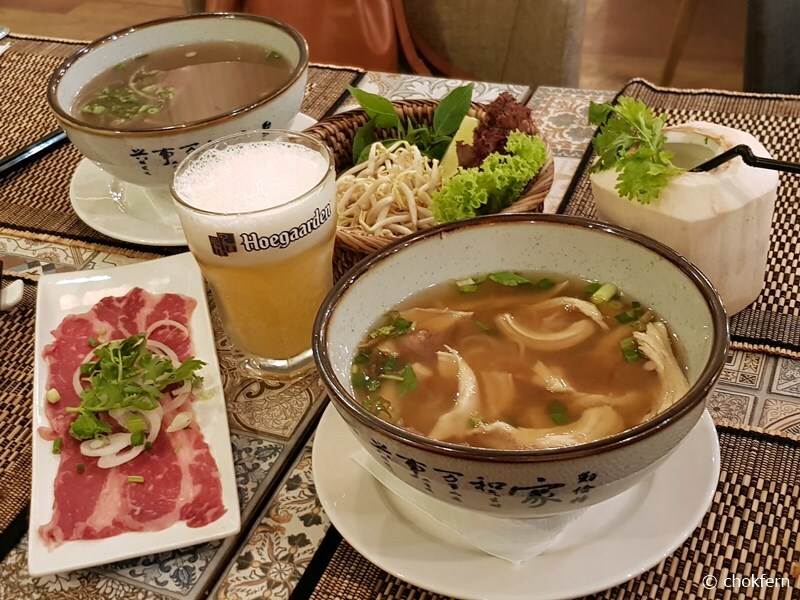 It’s best paired with a plate of white rice and probably a bottle of beer to reward your palate with a variety of exciting flavours. I am always laughed for being a person who enjoy having dessert as main course, so I am very eager to try out the desserts. 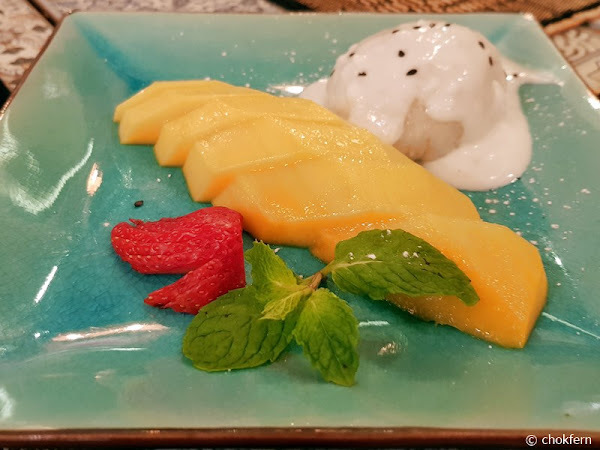 Sis highly recommend the traditional Thai Khao Neow Ma Muang, a sweet sticky rice pudding paired with slices of sweet mango and coconut cream. The cute sphere of the sticky rice is portion just nice enough so one will not become too full from it after all the savoury. 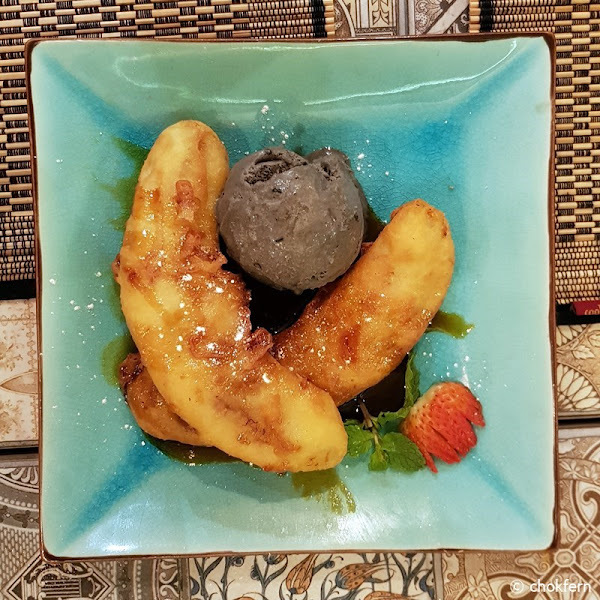 For some reason, I preferred the Vietnamese dessert – Banh Chuoi, which consist of crispy banana fritters and black sesame ice cream, probably because it is sweeter to my preference. River Wok will be having a special buffet menu on 17th June 2018, 12pm – 3pm (lunch) and 6pm – 10pm (dinner) in celebration of Father’s Day. You can look forward to enjoy fresh oysters, poach prawns, whelk and dishes such as Duck Mango Salad, Green Curry Chicken, Salted Baked Barramundi, Udang Sambal Java, Pad Thai, Mango Sticky Rice and many more in the buffet; along with a complimentary glass of Prosecco. Priced at $68++ per pax. 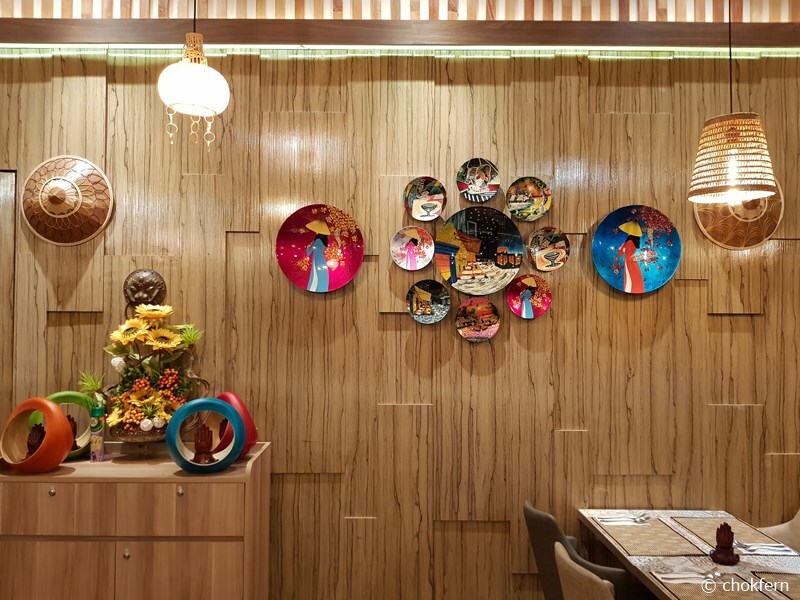 You can book via River Wok’s website or call +65 6732 1126 for reservation.